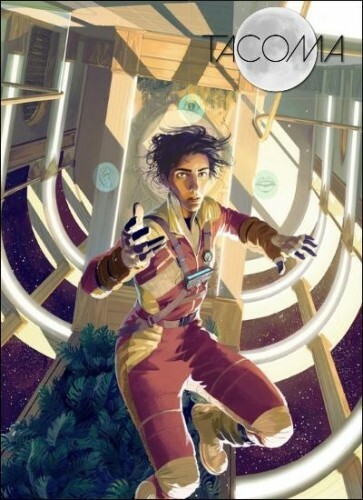 Tacoma - adventure game with a fascinating storyline, which unfolds in 2088 on a high-tech space station. You have to explore the lunar ****, find out how the crew members lived and worked on it and what exactly happened there. You will discover an amazing story about faith, fear and steadfastness in the face of danger. The Tacoma station has a digital video surveillance system that captures important moments from the life of the crew. Everything is written in the form of three-dimensional holograms, so you are practically at the center of events. The ability to rewind records will allow you to view the story from different angles and reveal the entire layered narrative. Tacoma - a new creation of the creators of the game Gone Home, for which thought out to the smallest detail of history has become a kind of tradition. But this time the story turned out even more exciting. ▪ A Richly Layered Story Experience: Multi-layered plot: until recently, six crew members lived and worked at Tacoma Space Station. They built relationships, loved, experienced losses and coped with various difficulties together. You will not only investigate what happened at the station, but also learn what kind of people were the crew members. This will help you interactive episodes from the life of the former inhabitants of Tacoma, recreated in augmented reality. 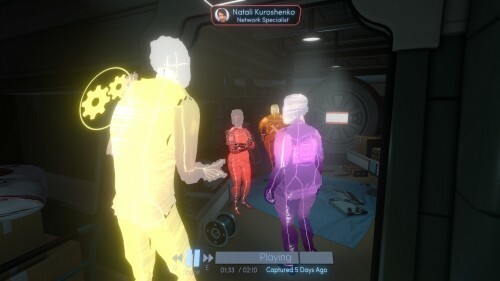 ▪ A new narrative principle: in any part of the space station you will be surrounded by holograms of crew members whose histories are closely intertwined. Rewind records to restore the sequence of events, look at what happened from different sides and consider every detail. ▪ Interactive game world: explore the Tacoma station with familiar methods and with the help of digital technologies. Open the doors and drawers in search of important items and notes. Find out what the team members were saying and what thoughts they were attending. Even the smallest details are important in the investigation. ▪ Vision of the future: transferred in 2088. Immerse yourself in a fantasy world where mankind actively explores space beyond the Earth's orbit. The creators of the game have already received numerous awards for projects Gone Home and BioShock 2: Minerva's Den. Now they want to share their fantasies about the future with you. ▪ Laconic narrative: Tacoma takes about two to five hours to complete. How much you can learn about what happened at the station depends entirely on you. 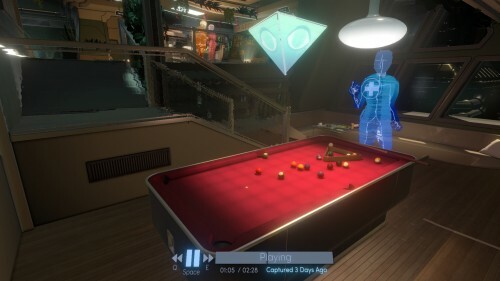 In Tacoma there is no combat system, and the gameplay is not built on solving riddles. You immerse yourself in the story and explore the game world at a convenient pace for you.